This is a rectangular White Star Laundry porcelain sign. This particular White Star Laundry sign is black with white text. 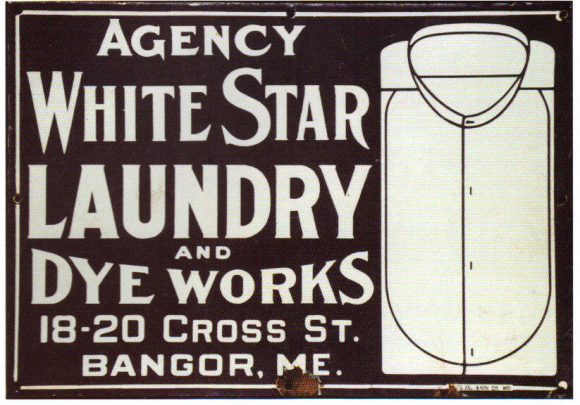 It reads, “Agency White Star Laundry and Dye Works, 18-20 Cross St., Bangor, ME.” and features a white dress shirt on the right side of the sign.